The inaugural meeting was held at the Royal College of Surgeons in London, UK in May 2016. The aim of the meeting was to gather LMIC surgeons to define the needs and identify means of meeting those needs. The meeting was attended by 51 providers representing 21 countries, with more than half of the attendees from 18 LMICs. 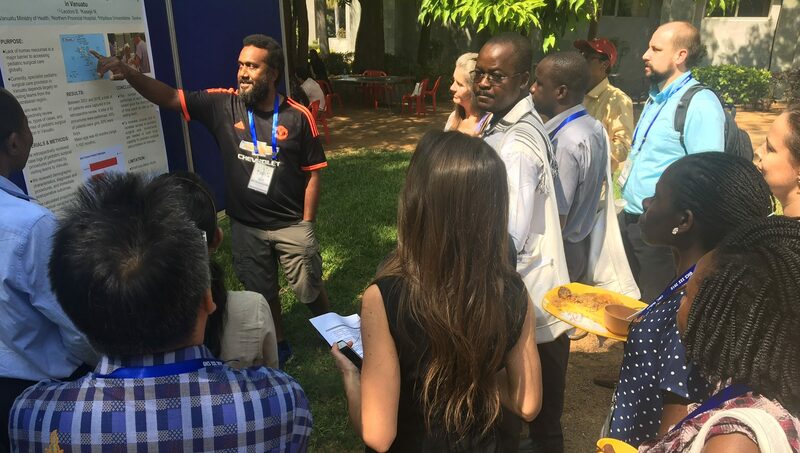 Feedback from a prior survey of LMIC attendees led to discussions during the meeting in the areas of infrastructure, service delivery, training, and research. Consensus determined that delivering optimal children’s surgical care necessitated developing the following: Integration of children’s health care into national surgical plans; training and support for district hospital teams to manage certain children’s surgical conditions; setting standards for appropriate resources and scope of care at each level of children’s health care; promoting sustainable partnerships to train LMIC providers; establishment of regional centers to promote and support research; and development of international collaborations around congenital anomalies. The second GICS meeting in Washington DC in October 2016 was a success due to the commitment and hard work of 94 participants from 38 different countries, including 43 LMIC providers. Participants included individual care providers, representatives from non-governmental organizations, academicians, policy makers, and hospital administrators. Concrete examples of barriers to care were delineated through a series of country and specialty-specific presentations from delegates working in a variety of low-resource settings. Opportunities and strategies to learn from, and partner with, other global health organizations and initiatives were discussed, and video messages from leaders at the World Health Organization and the International Committee of the Red Cross were presented. Work began on an Optimal Resources for Children’s Surgery (OReCS) document, with GICS members in each subspecialty defining resources and manpower needed at each of the different level facilities in LMICs and developing action plans to improve children’s surgery across all levels of the health system. LMIC providers felt that the OReCS document, particularly with endorsement of the WHO, might provide leverage for resource allocation with local policymakers. The third meeting of GICS was held in Vellore, India in January 2018, under the leadership of Vrisha Madhuri and her colleagues. The meeting was attended by 110 delegates (two-thirds from LMICs) from 33 countries. Preliminary work on pediatric bellwether procedures was discussed, and multiple projects describing GICS partnerships were presented. For a summary of the meeting by GICS member Jack Mulu, click here. We are beginning to plan our next meeting. Check back here for more details in the next few weeks.